Dive Academy is the local scuba diving and snorkel centre based in Santa Pola just a 10 minute drive by car or you can jump on the bus from the centro comercial here in Gran Alacant. You can find them in the heart of Marina Miramar which is the main harbour in Santa Pola facing Burger King on the coastal pathway. 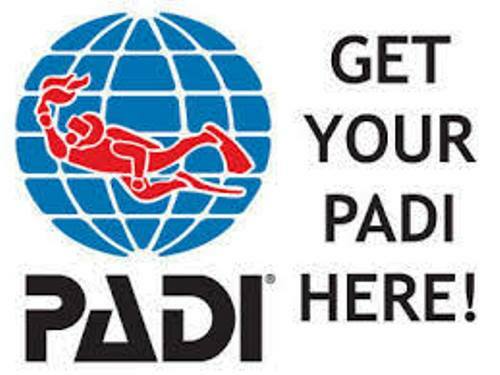 Just look out for the large PADI flag on the roof or listen out for the guys having fun in the shop. Dive Academy is run by Wayne and Daisy who are an expat couple who met whilst working in a dive centre in Fuerteventura on the Canary Islands. Daisy was the office manager there and so now manages the office and all paperwork aspects of their business in Santa Pola. Wayne is general manager of operations. Along with Wayne and Daisy you will find two members of full time staff ‘Kyle and Said’ and many other temporary or flexible staff at different times of the year the summer seeing an increase of staff up to about 13 or 14 people. 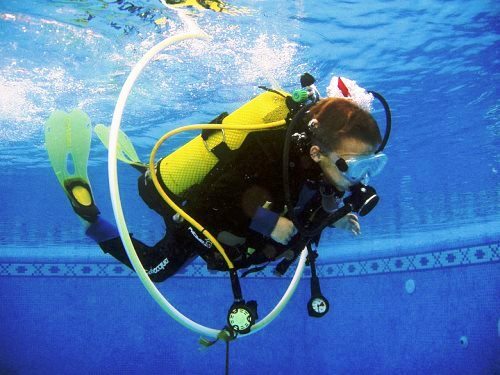 All the staff down at the academy take their scuba diving and snorkel excursions very seriously and are all trained to the highest standards. They should be given that Dive Academy is the only 5 Star Instructor Development Centre in the area. That said...they know how to have lots of fun!!! So your days spent with any of the dive crew whether out on the famous Snorkel Safari trip or taking a plunge in the ocean scuba diving will be the best of your holiday. You may or may not already have a licence to go scuba diving but that does not matter as they have something for ALL the family, older or younger or altogether. 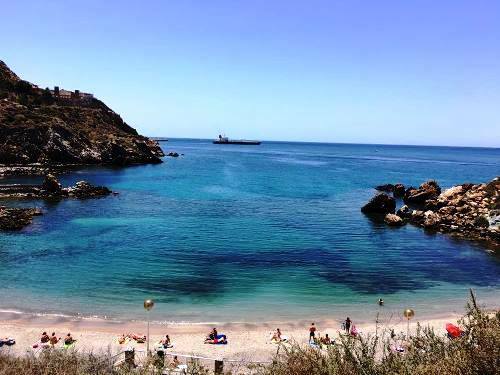 Spend the day over on Tabarca Island swimming the local marine reserve, or the day at the swimming pool making bubbles or maybe try your first time diving in the sea itself. It is all available at Dive Academy. The Snorkel Safari is a trip for everybody and is probably world famous by now. It is one of the most fun days you will have on your holiday and if you do not believe us.... you can read some reviews here on Trip Advisor. Although there is no real age limit for this trip as it really depends on the comfort level of the individual swimmer, the guys at Dive Academy would suggest it is a trip for 6 years old and above. Exceptions are sometimes made for very strong swimmers snorkelling alongside a PARENT only. The trip starts at 9am down at the centre where the fun starts straight away. Upon being kitted out with all your professional equipment you are then guided all day by a Dive Academy member of staff who is a minimum of rescue scuba diver trained with first aid primary and secondary care qualifications. Off you go to jump on your boat taxi which is only a short journey of 15 to 20 minutes on a big sturdy boat which also has over head cover from the sun. Once at the Island you will listen to your guide brief the first snorkel session explaining everything you need to know about the snorkel site, equipment and how to use it and the fish life you are likely to see. Starting in a site designed to ease you in slowly you will swim the shallows exploring the sand patches, meadows of sea grass and rocks where you will find lots of different fish swimming around you. Once you have practiced and are feeling comfortable you can go with your guide as the water gets a little deeper. Some of the adventurous clients like to duck dive down to actually swim alongside the fish and the guides give lessons on how best to do this. The equipment makes you float so those not wanting to dive down simply float on the top and watch. Between snorkel sites you can have a bite to eat either by bringing something with you or visiting the restaurant on the Island to all eat together. Your food order at the restaurant is placed earlier that day so it is ready to sit and eat directly after your first snorkel session. After lunch and a relaxing break in the sun it is time to start your second adventure. Entering the water from the main beach we take a coastal tour along to the caverns. Here there are two caverns or caves and you will follow your guide inside stopping to enjoy the rock formations. It is shallow inside so you can stand and have a laugh as it sounds different in there. Some explorers join the guide swimming under water from one cave to the next through an underwater swim through. It is like a large opening that is shallow and not far to swim and the guide shows you everything you need to know. The others who do not want to swim this way simply go back out the cave and meet at the other side. After this snorkel session you head back to the Dive Centre on the boat taxi again taking in the med as you go. From 8 years old they offer a swimming pool try dive day at a local pool where you learn the basics of scuba diving with a tank on your back. Your instructor will talk you through the basic rules, the hand signals to communicate under water and tell you about all the equipment and how it works. Following your dive briefing you enter the pool and start by trying it out on the surface. You will take it step by step and then go for a swim around the pool but under water. Then its having fun playing games in the pool and pretending to be a fish. Give it a go, blow some bubbles and when you are old enough you can try it in the sea. From the age of 12 we can do the same trip as above but this time all in the sea. This is a day trip to one of our shore sites either near to Alicante or down in Cartagena, Murcia (weather depending). Upon arrival at the dive centre we will check you in and make sure we have all the correct equipment for the day and that it fits you. Then It is off for a road trip to the site where the lesson begins. Once again, equipment, basic level rules and hand signals will be discussed alongside learning some basic scuba entry level exercises. This is all part of your dive briefing and then off we go into the water entering through the shallow bays via the beach. The first step is to practice on the surface and then you will go onto your knees to watch the demonstration of the instructor showing you each exercise. 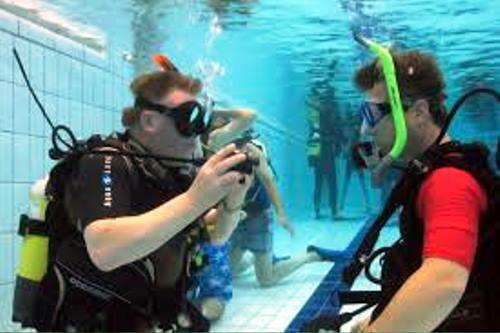 Each person will copy one by one and when all the exercises are completed and all the high fives are done it is directly off for your first ever scuba dive in the sea. You will stay close to your instructor and follow him exploring the rocks and sand patches of the med. 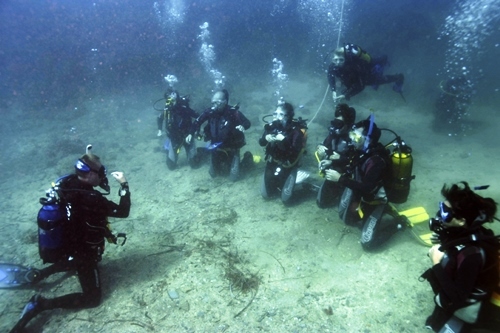 your first dive will gradually go to no more than 6 metres depending on the comfort level of the group. Between dives you will break for lunch and can either bring your own or you can buy something on the way as they always pit stop in either a local supermarket or service station. Please note only one dive site has a restaurant and Dive Academy cannot guarantee it will be open. After lunch it is back in the water for dive number two which is always a little easier as you do not have to re-do the exercises. Also because you already know what to expect it is straight into the water and you start diving immediately exploring a little deeper this time. You will go no more than 12 metres deep but once again the instructor will review the comfort level of the group and always has safety AND fun in mind the whole time. Back at the dive centre after you learn how to rinse down the equipment you can relax with a beer or a coffee in the sun and your instructor will tell you a little more about scuba diving and how you can get your diving licence. Some people decide to carry on and do another two more days of scuba diving and go home with an Open Water licence. More about this licence later on. Have you already got a diving licence? If so then you can join on the other day excursion arranged by Dive Academy and go for some fun diving with no training involved. Every trip is a two dive trip and depending on location depends on how long your day trip will be. Dive Academy have a professional ex-military zodiac rib boat moored within 20 metres from the dive centre. Every trip starts at 09.00 in the centre and following introductions you will set up your equipment for your first dive at the centre. The second tanks will be on the boat and you will then follow your guide to the boat to board. 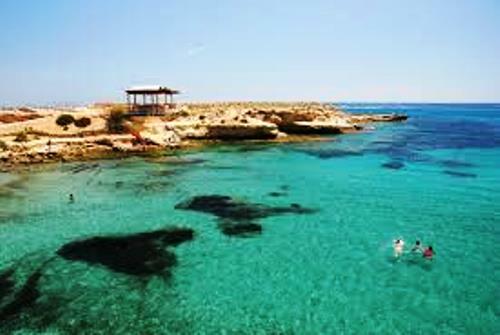 The drive out to Tabarca Marine Reserve is only 15 - 20 minutes and they have several sites to choose from. Some of the sites are as deep as 35-40 metres however the boat needs to only have advanced divers on it to do these sites. No worries however as most of the sites are less than 20 metres. One of the sites has a maximum of 20 metres but is 18 metres on average and is called little conga. This is actually an old ship wreck and when we say old... We mean old. It is an old wooden boat that has lived in Tabarca for many years. The hull and basic skeleton of the boat is scattered about on a large sand patch and is very interesting to dive. You start out on a grassy meadow of sea grass called Posidonia Oceanica and slope gently down to the sand patch where you will start to pick up the pieces of wood in the sand. Eventually you will come across the main hull where there is the propeller shaft. Inside this tube you will find the little conga eel still living there after several years. Another dive site called Cemetery is in line with the cemetery on the Island and is basically many large rocks living next to each other at around 14 metres. These rocks cause corridors and overhangs and small tunnels which are all fantastic for exploring around. These two are the most frequent dive sites visited but they do have others that are not so deep but just as interesting. Details of all the dive sites are on our website. 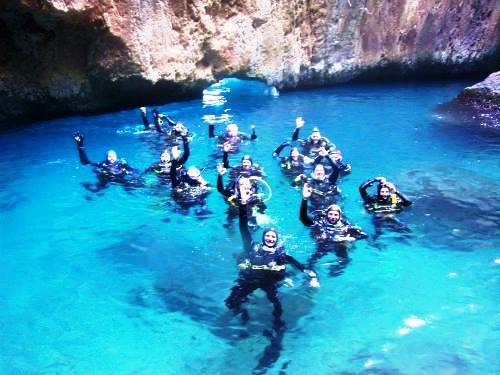 Let us say that you have finished your first day diving with Dive Academy and you decide you want to do a little more. 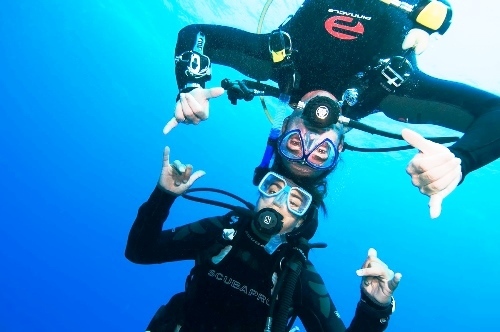 Maybe you have a family member who wants to try diving by doing the Discover Scuba diving excursion which cannot be done from the boat due to the depth limits involved. Well no problem!! Dive Academy Santa Pola also covers three hours of coast line with several sites up and down the coast. The closest dive sites are within Alicante in El Campello and Cabo de las Huertas. 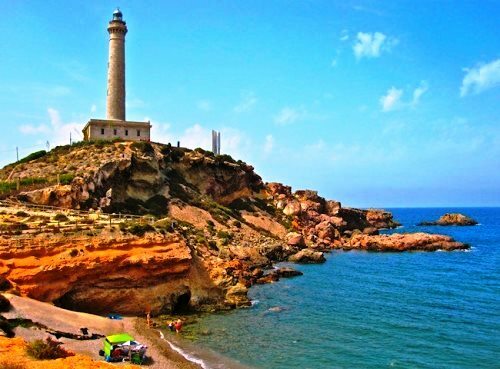 El Campello is an historic dive site sitting on a peninsular of land sticking out into the sea. It is a very shallow dive site of around 6-7 metres but is stacked in history as you are able to dive the old roman salt baths. The location itself is a tourist attraction with ruins of baths on land but the final bath is a salt water bath sitting in the sea. Starting at the base of the peninsular you will enter the water from the shore and dive along the grass meadows until you reach the baths at the end where you will enter to take a look around. The second dive is the opposite side of the peninsular offering a different tour with different rock formations to explore. Cabo de las Huertas is a similar depth but maybe 8 metres in total and is also an interesting site due to what is known as the parallel pathways. So you once again enter the water via the shore and there is a gradual slope until it drops off to around 6 metres. For some unknown reason all the grass here has died and is laying on the ground as if it has been trampled by people walking. It looks like a pathway going from left to right along the shore line. In front of you is a hill which leads over to another of the same creating the second of the parallel pathways. Over the next hill leads out to a vast sand area where you sometimes sea stingrays and other sand dwelling life such as flounders and red mullet. Cala Cortina is south of Dive Academy and takes around one hour and fifteen minutes to drive there. The drive is lovely as it is along the N332 coastal road driving through the salt flats of Santa Pola where you can see the flamingos and then all along the coast through Torrevieja, La Zenia and into Cartagena in the Murcia region of the Costa Blanca. You get to see all the sites on your way there and then you arrive at the most beautiful little cove called Cala Cortina. The port of Cartagena is just around the corner and is still heavily operated from by the military. They have many military scuba diving training sites and this includes a large underwater submarine base. Here you will also find lots of small swim throughs and tunnels to explore. Depth ranges from as deep as 27 metres here to an average of around 12 metres. You have to be good with your air consumption to get to the deepest part if this site. 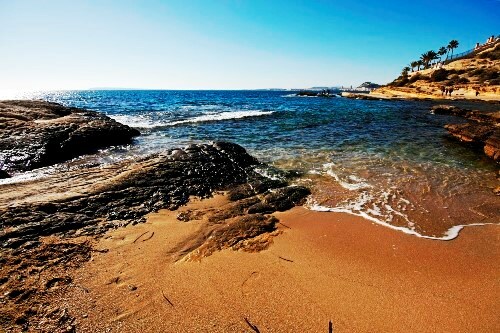 Cabo de Palos is once again in the Murcia region and is another shore site that we sometimes use. Here there are two bays on different angles to the coast and one you have to walk down many steps so please let the guys know if you have bad knees, legs or back and they will advise. There is a large Island just off the coast and they dive around the base of the island around 18 metres deep. Another part of this site has two very long swim throughs the second being a long tunnel and very exciting to go through. They are not so small that you feel confined but also not as big as huge caverns either. Maximum depth here will be around 20 metres. Finally if we travel north for a similar distance we will go to the Caverns in Moraira up past Calpe and through Benidorm. Another extremely interesting site with lots to see here. The best part is how you enter the caverns through a hole in the ground. It is a large hole filled with water and looks dark but as you descend you see the light coming through from the cavern which underneath where you have just been standing. You then swim through the cavern into a large opening chamber and out to sea. Once you are out you follow the wall round and enter under another open air cavern but here you can surface and look up to the sky as this chamber is open air. The water here is beautiful and you can see a halocline due to the fresh water running in off the mountain rocks. You will often see Langostina lobsters in this areas and on the second dive out to the sand patch you often see stingrays and butterfly rays. There is an old sunken war car too. The average depth is around 10 metres with a maximum of 14 metres here. Although the guys have several other dive sites to visit the above are the most frequently visited. 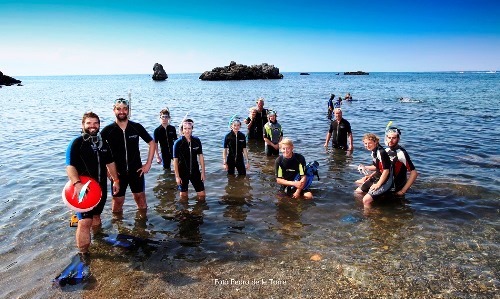 Please note that as a licenced diver quite often the first choice of dive sites are in Tabarca Island Marine reserve from the dive boat and the shore dives are usually for courses and discover scuba diving. That said you may visit these sites to offer you variety or if you are diving alongside a beginner diver on another course in your group. The guys will advise you where you will dive upon booking in as sometimes it is also weather depending along with other factors. For all enquiries and booking you need to contact them directly by emailing info@diveacademy-santapola.com or calling any of the numbers at the bottom of the page. Dive Academy Santa Pola offers a variety of courses for all levels of diver whether you are an absolute novice or looking to advance your diving to deeper limits or taking a specialty course. Of course due to Dive Academy Santa Pola being a 5 star instructor development centre you are also able to progress to Dive Master or Instructor level but you do not need to stop there. Take the higher levels too up to through specialty instructor to master Scuba Diver Trainer, Staff Instructor or Master Instructor. The guys at Dive Academy Santa Pola are happy to advise on all levels of courses. Take the three day Open Water diver course and obtain your international scuba diving licence which allows you to depths of 18 metres anywhere in the world. Moreover this licence will never run out you simply take a small refresher or tune up when you have not dived for a while. Upon completion of this course you will receive your very own diving card to go in your wallet to take anywhere you end up on holiday. During the course you will visit three sections in principal and these are theory, confined water and open water. The theory can be done through home study before the course starts by either reading your open water manual included in the price or you can do the open water premium course and do your theory online via either e-learning designed for home computers or laptops or via touch which is the iPad and iPhone 6+ option. (This option is more expensive but offers greater flexibility if your holiday time is short and you want to complete your theory before you arrive so just ask for more details). The confined water sections can either be done in the swimming pool or the shallows of a calm and relaxing bay at the edge of the sea. This section involves learning all the exercises regarding safety and handling yourself confidently in the open sea. It is essentially a practice in shallow water and you learn all about your equipment and how to use it through different exercises designed to make you more and more comfortable with your ability as you go. The final section is Open Water and involves 4 dives in the sea starting with a shallow dive to no more than 6 metres, progressing to 12 metres and finishing with two dives on your final day to 18 metres putting everything you have learned so far into good practice. Please note that if you have already completed the discover scuba diving program that you have essentially completed day 1 of the Open water diver course and can simply continue and complete the remaining two days. Speak to the guys to get more information about this. 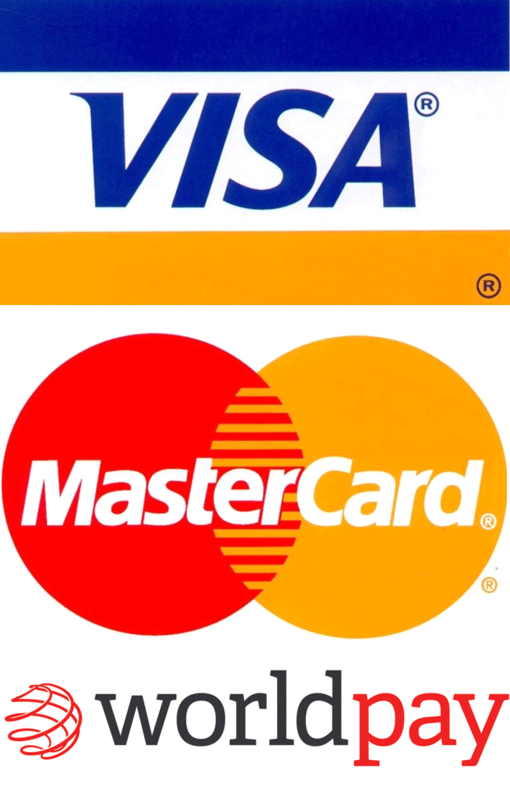 All equipment, insurance and travel too and from the dive sites to the dive centre again is included in the price. If you have already completed the Open Water course then the next step for you is to go a little deeper and advance your training. This course is not so theory heavy and involves 5 open water dives with differing skills depending on what dives you do on the course. In the PADI system there are many specialty courses available designed to offer you more experience in areas that may interest you (night diving, navigation or drift diving for example). Out of all these available specialties you cover the basics of 5 specialty options. You have no choice when it comes to deep and navigation as to advance your training you MUST have experience in this so two of your dives will be a Deep Dive and a Navigation Dive. You then must discuss with the guys what other three specialties interest you with what is available. Ice diving for example is not available in Spain. See the list of specialty course below under specialty dives or talk with Dive Academy as they will offer advice. You must read the chapter that relates to the dives you will be doing and complete the knowledge review on these chapters. Once you have completed the relevant dives you are done. Dive Academy are also a first aid training centre as to continue along your PADI qualifications you first need a first aid certificate. 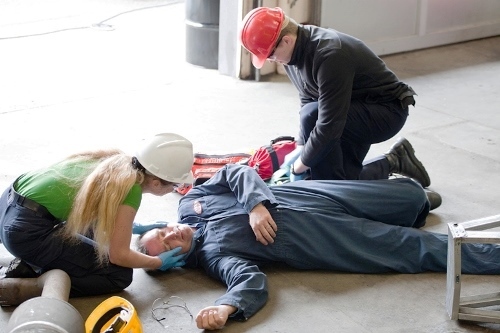 This is only a one day course and can be completed at the centre with a qualified first aid instructor. This is also an internationally recognised qualification and can be used as part of your work first aid training too. It is valid for two years when you will need to complete a refresher. This is by far the most serious yet the most fun course you will do at Dive Academy as despite the serious content of the course they really do make it fun to learn. Now you already understand what is involved in CPR and mouth to mouth primary care you learn to apply your skills as a rescue diver. What would you do in the event of a diving rescue situation? What is the best choice to make depending on what and whom you have available at the scene? Be prepared for lots of splashing and fun and to be really tested on your skills so far. 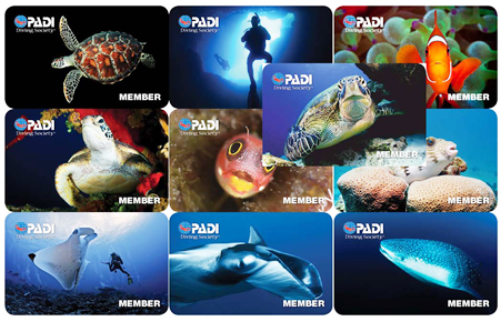 A specialty diver is a diver who has completed a specialty course and has a licence card to prove he has specialised in a particular area of interest. Specialty courses include..
You will first need to discuss with Dive Academy what is available and how long each course will take. 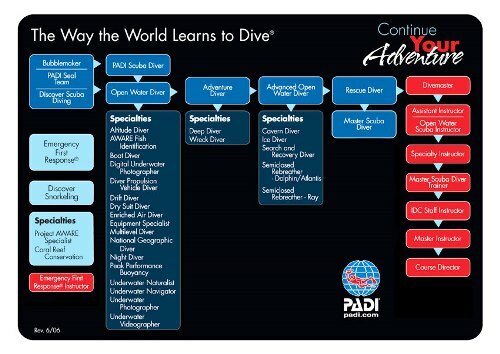 Some of these options are only available to advanced divers and others are available to all. Also, some are one day courses with 2 dives and other are two day courses with 4 dives. Whatever tickles your fancy you only need to ask and they will explain it all to you. Once you have 5 specialty courses you may apply to be a Master Scuba Diver which is the highest none professional level certification you can hold. 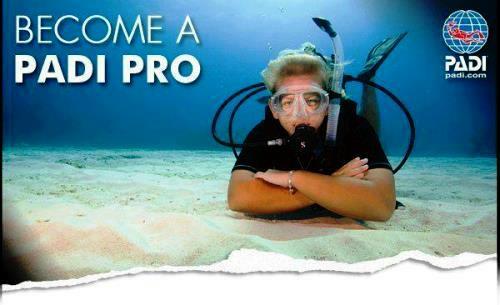 To become a Master scuba diver you simply need to apply and Dive Academy can help you complete your application. Maybe you would like to start out and go from zero to hero and complete 5 specialties with Dive Academy to become a Master scuba diver. If so, special prices are offered but you will need to speak to the guys as the prices fluctuate depending on which courses you choose to do. The best people to talk to if you are interested in progressing to a professional level is Dive Academy themselves. You can find out more information about these courses, including when the next instructor development course will be held on the website. Maybe you would like to become a Dive Master (first level pro) but rather than doing it as a course you would like to do a summer internship. This basically means you do not pay for your course but work for Dive Academy Santa Pola as payment for your qualification. Ask the guys for more information about this and all other professional level courses. Whatsapp, Facebook, Twitter and you can also check out the Youtube channel for informative and funny videos. Please note that if they are out diving or in an area with limited mobile phone signal you should always try the office number during the day or simply send an email as they will always pick this up and respond as soon as they can.